Here ya go! 78 minutes of mostly deep cuts from Queen. I purposely stayed away from hits, and of the four hits that are included here, two are unique versions and two, well, I wanted them here. I've also included an exclusive remix of "Don't Stop Me Now," created by my friend Geoff Hoover. Remixes often destroy the heart of the song being remixed, but Geoff Hoover created some magic and really kept the soul of the tune. I love it. When I told him that, he replied, "I was strengthened by my inability to add crap to it." I like that quote almost as much as I like his remix. I also got my old friend and Pep In The Cat band mate, Carl Mealha involved. 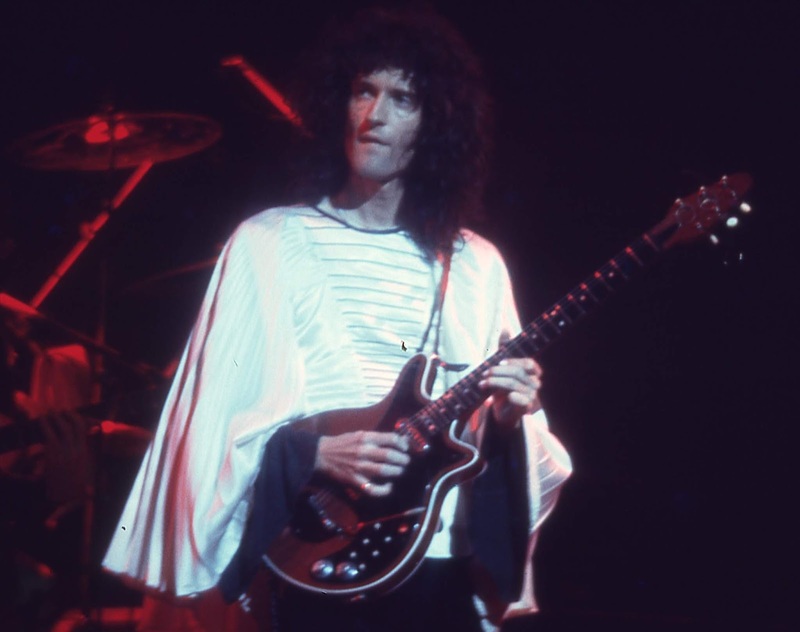 The photos here were taken by Carl at NYC's Uris Theatre, when Queen warmed-up for Mott The Hoople, and from the Beacon Theatre when the Cate Brothers opened for Queen. Hope y'all enjoy at least some of this music. I imagine the diehards know it all, and may not bother to listen, and those that already know they don't like the band, may not bother to listen, so this is for the rest of you in the middle. Great mix. I always thought that March of the Black Queen didn't get enough attention. Provided the groundwork for the Night at the Opera. Great selection. Shows the breadth and depth of styles they embraced. Freddie overshadowed the band but Brian May and the others were such an integral part. Listen to the guitar Dixie-land band at the end of Good Company. Brian is amazing. Roger's drumming, song writing and vocals were so important. John Deacon wrote some of their biggest hits. They were indeed a band but overshadowed by the enormity of Freddie's persona. I also think that is part of the reason they're not taken as seriously as they should. 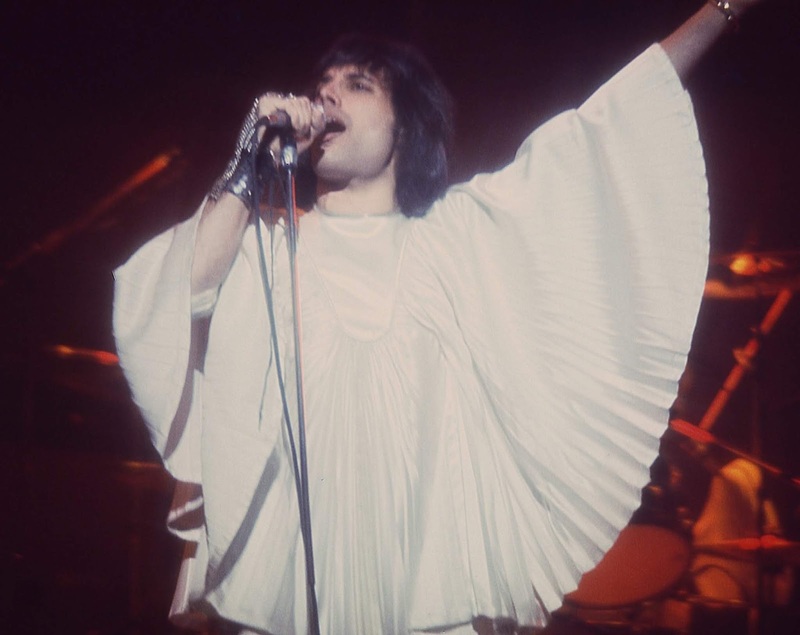 Too many people dismiss them because of Freddie's 'flamboyance' but they were amazing players, songwriters and performers. 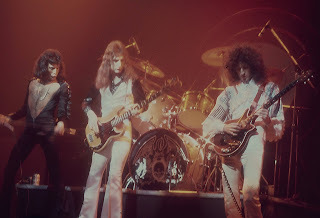 Never been a fan, but I do like a clutch of their songs, think Brian May is amazing (A scholar and a crazy-good guitarist! ), and appreciate the sheer character of their music/persona. I always chuckled at the "No synthesizers" blurb on the albums, as if that somehow ennobled them and made up for the heavily-processed slickness. So I'm looking forward to giving this a listen, and catch up on the vids posted here a few days back ('39 was already in that clutch of liked songs), to see what a major fan says is worth a listen. Thanks for doing this kind of thing! Thank you so much for this wonderful mix. It is such a treat to hear "She Makes Me" and "The Millionaire Waltz" again! You did good! Always appreciated and you should be told more often! Great mix. Looking forward to downloading tonight. Thanks so much for this gift on a cloudy November day, Sal. Have a great weekend. Loving all the Queen talk this week. I've always seen Queen as a GREAT singles band who could also put on a monster show. Thats not a bad thing at all. I am super looking forward to hearing how the songs play after each other in a mix setting. I'm familiar with most though not all the selections so I'm also hoping to make a few new discoveries here. Thank you so much for taking the time to put in the work. Greatly appreciated. So I've seen the "Bohemian Rhapsody" movie & listened to the OST CD and then along comes this juicy mix. Good to find a couple of tunes in there that I'd forgotten about. When I saw "Don't Stop Me Now" listed as a "Hoover remix" I assumed there must be a vacuum cleaner in there somewhere like in the video for "I Wanna Break Free", but what a cool remix. Great stuff all round, many thanks. To be honest I totally had forgotten about that remix. Sal thanks for reminding me and finding it and setting it free! Beyond that I just want to say Brian May is a God. 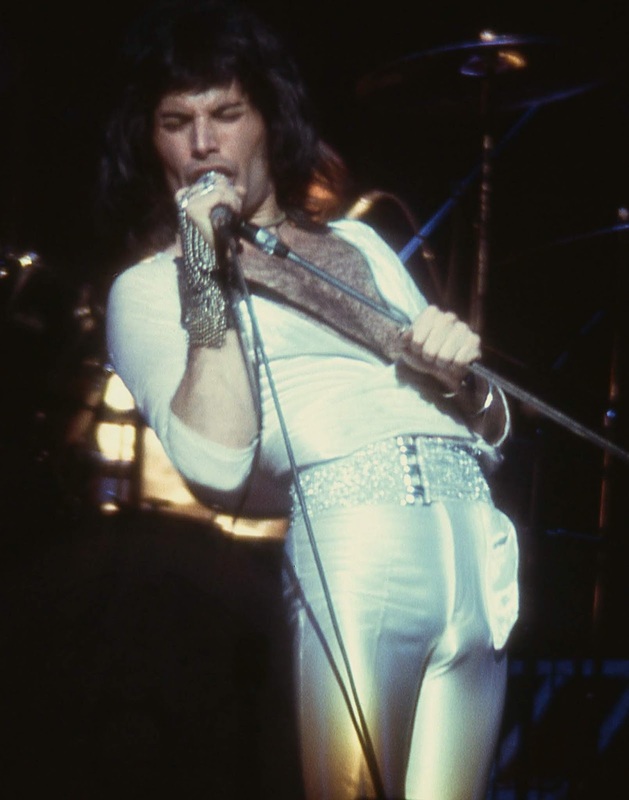 That guy is every bit as unique on guitar as Freddie is as a front man. Thanks for the mix! I've never been able to get into the band, but always willing to give it another try. They're certainly adjacent to a lot of acts I like, and if a Sal mix doesn't do it for, nothing probably will. PS: I still have a Harry Nilsson mix you made several years ago on fairly regular rotation. Bruce H.